The Internet has become a major driving force for businesses bringing in bulk volumes of information, serving as one of the fastest communication mediums and a wide-ranging market, all-encompassing. As more businesses turn to the internet to extract valuable information for various critical analysis and decision-making processes, the Internet of Things or IoT offers them instant access to consumer data. The Internet of Things is a technology that connects smart devices such as mobiles, electronic home appliances such as Television, Air Conditioner, Refrigerator, Washing Machine etc., advanced medical equipment, and other machinery to the Internet using a wireless technology. With Wi-Fi networks being accessible quite easily in major cities and towns across the world, connecting the machines to the Internet held the key to extracting the vital usage pattern directly. This information is used by the device manufacturers to understand the actual user-behavior and make the required changes to the devices which will make their brand more popular among the users. As technologies and devices are getting more advanced, IoT becomes more commonly used in homes, offices and other commercial establishments. IoT connects embedded devices using the wireless network. The technology makes it possible to control the connected devices from anywhere and also access the information from anywhere. It offers a wide range of applications in terms of information and consumer behavior metrics which is valued highly by the businesses and the global market in general. The concept behind IoT is to use sensors in devices to keep collecting information which it passes on to other devices when connected over the Internet. According to Forbes, the term Internet of Things was coined in 1999 by Kevin Ashton when he developed the RFID technology while working at Procter and Gamble. It took another 10 years for IoT to actually make it big in the market. This is around the time when people had started using the Internet and smartphones widely. The search engines were churning out pages of information upon user-requests and information had become a hot commodity for businesses. The Internet of Things need not only be your smart television or smart air conditioner. Your wearable devices including your pedometer can be an IoT device if it can connect to another device on the internet to share the information it has collected. Your phone, coffeemaker, alarm, virtual assistant, car, and any other device that’s connected to the internet will have ample information about you. With the IoT, they will be able to interact with each other and share information to make your life simpler. For example, if you have a train to catch tomorrow at 5 am and you receive the confirmation of travel by email. Your smart alarm clock will automatically set an alarm which will connect with your car to check the distance and driving time. Further, it will also connect with your coffeemaker and keep your coffee ready (it will know your regular mix) as the alarm goes off. Doesn’t this make your life much simpler? The devices will have sensors, network cards, data storage and programmed chips. Using these programs, the devices will extract the required information and pass it on over the internet to the relevant device. With a network of interconnected devices, as mentioned above, a series of tasks get accomplished automatically and efficiently. What are the major advantages of Internet of Things IoT? The most important benefit that IoT offers is information. As more businesses are getting data-centric, information is the most precious business asset. The devices collect precious information which is used by the device manufacturers and domain experts for various business development purposes including customer engagement and better service. Wearable devices offer instant information to the intended audience. The data collected by the devices can be instantly communicated over the Wi-Fi network. This helps communicate critical healthcare and security data to the user or proposed audience. Just as the IoT devices collect information about the users, it can also execute the commands remotely. 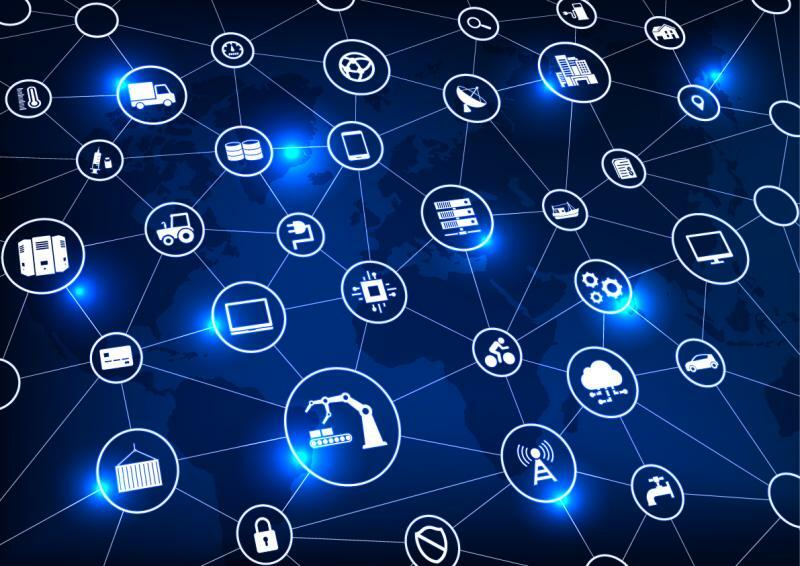 Remote operations and automation are two major benefits offered by IoT. This goes a long way in industrial use also. Since IoT provides information remotely, it lets people to monitor device usage or user behavior remotely. Healthcare devices such as BP monitoring and security monitoring devices are perfect examples of IoT used for remote monitoring. The information collected from devices are processed and analyzed to make them more cost-effective. The way the users use the devices will help the manufacturers to optimize the features provided. This can help to avoid the less used features and improve the more used features in general. It helps to add value to the device. The way a device functions can be monitored using real-time information analytics in detail. This information can be used to increase the process efficiency at work and in personal matters. For example, the way the kitchen devices are used, if they can communicate with each other and automate related processes, the entire cooking process becomes quite efficient and can be accomplished faster. As the device information can be accessed anytime by the manufacturer or user, they can ascertain its usability and risks involved any time. This makes them safer to use. For example, if the fuel or charge is expected to get over in 5 minutes for a particular device whereas it is usually run for 10 minutes, the user will be intimated in advance so that the recharging can be automated or the process cut short. Predictive and proactive maintenance can be made possible when it comes to critical devices that need to function optimally. Since the device condition can be measured in real-time, predictive maintenance is made possible with IoT. This also reduces the maintenance cost significantly. sing the devices and correct them appropriately and also correct the shortfalls in the product design and functionality, making them more productive. Which fields would benefit from Internet of things IoT? Every business and industry can benefit from IoT. Depending upon how well your embedded programs function, how effectively you store information and how fast you connect to the Internet, every business can benefit from the information and connectivity provided by the IoT devices. IoT can be a life-saver in many cases. In many parts of the world, IoT is being used by healthcare professionals to continuously monitor the health condition of their patients remotely and to administer or control the medications based on the patient activity and health data streamed by the device. Hospitals can continue to closely monitor patients who require special care remotely which increases the information available for analytics and research and also the life expectancy of patients. Autonomous cars and customized services provided by the tourism operators are perfect examples of IoT in travel and tourism. Based on the information collected through IoT devices and from social media, specialized services can be provided to the guests. Automated bookings can also be done by your wearable device to make your travel plans seamless. Depending upon the information shared by your wearable devices, your hotel room’s devices can adjust themselves to perform optimally. The television can play your favorite channels, the air conditioner can stay prepared to welcome you with your preferred temperature settings and so on and so forth. Personalization is one of the major advantages offered to the hospitality industry by IoT. The consumer electronics industry is already benefiting largely from IoT. The manufacturers know the exact features loved by the majority of their customers. They track the usage and provide proactive and predictive maintenance. They also use this information for personalized cross-selling which the customers also find more convenient as they get what they are interested in and don’t have to waste their time searching for it. Apart from data security, IoT also helps to safeguard your home and office premises. Connected systems can be programmed to alert the user and the local authorities of any attempted security breach within seconds, saving precious time. IoT is already popular in many regions across the world and it is still emerging fast. The possibilities of smaller and smarter devices that are affordable is the current point of concern for most of the industries to facilitate better data collection. They use this information to analyze the usage and improve their products and services to gain more business. The popularity of IoT has lead to implementing this technology for Industrial purposes with IIoT or Industrial IoT. Though this is in an early stage, we may soon be able to remotely operate machines that offer customized output based on the changing customer purchase pattern and market conditions.